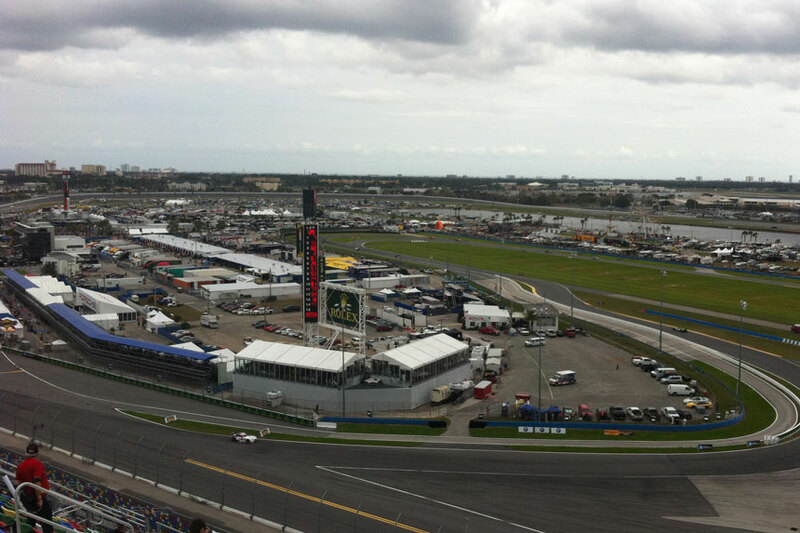 The Rolex 24 at Daytona is a 24-hour sports car endurance race held annually at the Daytona International Speedway. 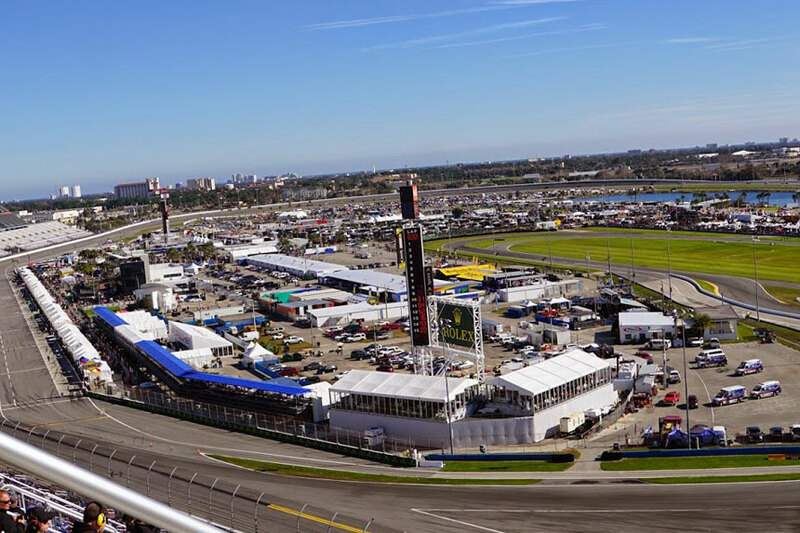 It is part of Speedweeks and is the first major auto race of the year in the United States. 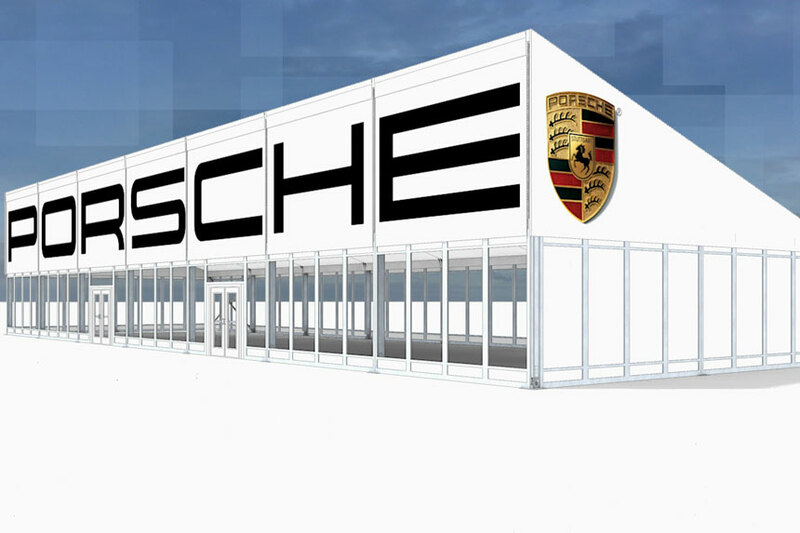 Porsche came to us with the request to stand out from the many hospitality tents at the event. 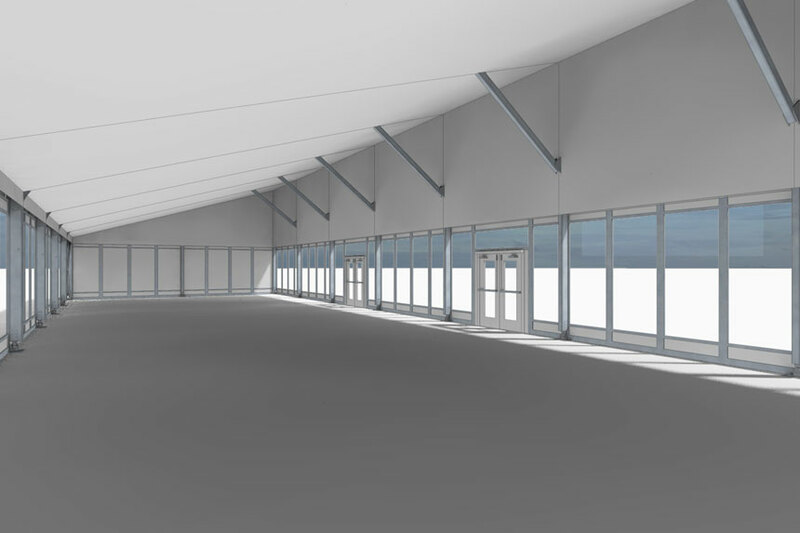 Our designers provided them with three different options and they chose a unique single slope clearspan structure. 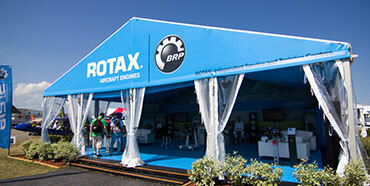 The tent was designed to fit in a narrow space behind pit road. The single slope design provided a unique look to their hospitality space, and also provided a large vertical surface for branding that could be seen from many vantage points. 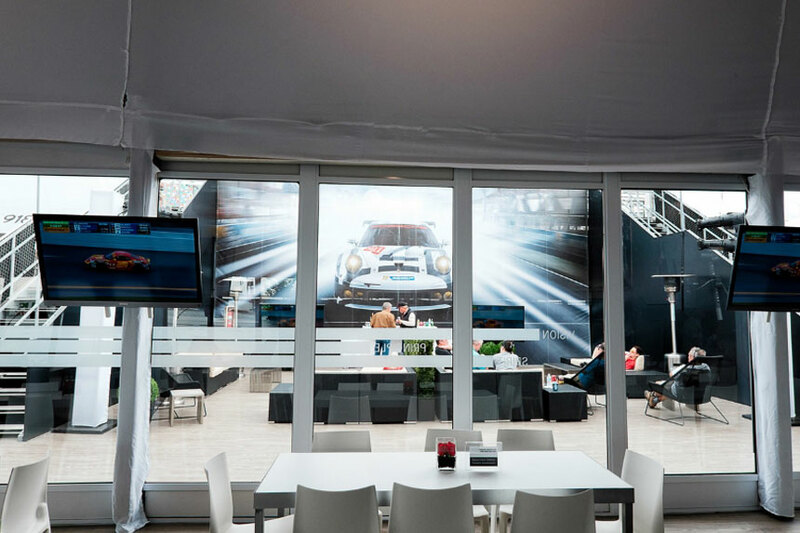 Along with the large scale logo applied to the roof of the tent structure, Porsche succeeded at increasing their brand presence at this international motorsport event. Glass walls, liners and hard wood floor were all added to enhance the guest experience.